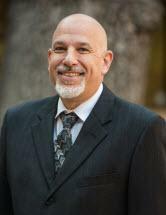 Michael D. Margolin earned his J.D in 2000 from the University Of La Verne College Of Law. While there he worked as a Law Review Staff Writer and received the American Jurisprudence Award for Civil Procedure. He was admitted to the California State Bar, and later admitted to the United States District Court for the Central District in 2002 and the United States District Court for the Southern District in 2003. Mr. Margolin has been a member of the American Bar Association, Los Angeles County Bar Association and the San Fernando Valley Bar Association. Mr. Margolin has a hands-on approach when dealing with clients; gaining their trust and making them feel at ease at what can be a stressful time. As a testament to that, Mr. Margolin enjoys a steady referral portfolio. Mr. Margolin was named a Rising Star, not once but twice, an honor which was bestowed by the nomination of his peers in the legal field.